Jenny is a warm, compassionate therapist who believes in the effectiveness of evidenced-based interventions and the transforming power it can have in the lives of individuals and families. Her experience working with diverse ages and needs gives her the ability to confidently partner with clients to overcome many of life’s problems including depression, anxiety, mood disorders, trauma, family problems, self-harm, and behavioral problems. 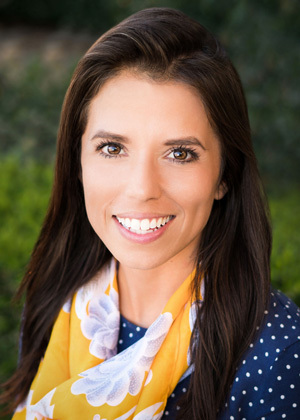 Trained in Trauma-Focused Cognitive Behavioral Therapy, she is skilled in helping children and teens process through difficult and traumatic experiences to begin their journey of healing. Jenny values the family unit and believes that seeking and maintaining harmony in the home is crucial to wellness. She has a unique skill set to aid families in finding cohesiveness and mutual respect within the family dynamic. This is enabled by her training as a Positive Discipline Parent Educator and experience working with children and teens in Residential Treatment for emotional and behavioral problems. Jenny received her Master’s degree in Social Work from Arizona State University. Her training includes intensive Cognitive Behavioral Therapy (CBT) & TEAM therapy training by David Burns, M.D. She has additional training in DBT, and CBT for Schema Change from the Cognitive Therapy and Training Center in San Diego. Clinical social workers provide mental health services for the prevention, diagnosis, and treatment of mental, behavioral, and emotional disorders in individuals, families, and groups. Their goal is to enhance and maintain their patients’ physical, psychological, and social function.